Starting a blog needs careful consideration by therapists. It needs to be ethical, especially in relation to boundaries. Never identify any clients. Further information on counselling blogging can be found here. 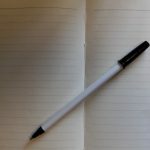 As more and more blogs are being written and becoming useful resources for both clients and counsellors, I thought it would be useful to compile a list of blogs. The blogs below are managed by different counsellors and psychotherapists. To look at the blogs, click on the name of the counsellor or psychotherapist. If you wish to add any to this list, then do let me know in the comments below. Hazel Hill is a BACP accredited counsellor based in Sheffield. Hazel writes this blog. She regularly blogs giving useful tips and advice for her clients that she works with – both online and face to face. , She explores the counselling process and other thoughts that come to her through her daily writing. Amanda Williamson is a BACP accredited counsellor based in Exeter. Amanda strongly advocates regulation and blogs at Amanda Williamson Counselling Service regularly about this. She also blogs about counselling issues and books that she has read or recommends. Karen Pollock is a BACP registered member and works online with her clients. She writes about different counselling issues with a strong lean towards transgender issues. Therapy Place Blog is written by Duncan Stafford, a BACP accredited and registered counsellor, and lives in Cambridge. Duncan writes about all about issues around counselling, psychotherapy and couples therapy. Karin Sieger is BACP accredited counsellor. She has a passion with writing (and lives in a houseboat) and writes regularly in her blog about different issues around counselling and psychotherapy. She shares her own cancer journey and offers insightful guide to dealing with cancer. Selfcare Psychology Blog is run by three counsellors who want to create a one-stop shop for all things about SelfCare. They share tips, advice and stories on how to look after yourself in a busy and stressful world. More and more students are sharing their reflections of their counselling training journey. Erin is a student counsellor who explores though her blog psychotherapeutic issues from the perspective of a UK based therapist in training. Erin reflections are thought provoking and create various discussions for example regarding the potential harm caused by therapists. What a Shrink thinks is hosted by Martha Crawford, LCSW. Maratha is an American writer and psychotherapist who writes thought provoking posts. What a Shrink Thinks is an online journal promoting general awareness, education, and transparency regarding the psychotherapeutic process. Nicola Hind provides online counselling and is based in Australia. Through her blog Unveiled stories she writes about various counselling issues. Unsafe Spaces Highlights abuse and safeguarding issues in psychological therapies. Phil Dore heads the Campaign for stronger regulation in counselling and psychotherapy. His blogs are informative and thought provoking. Counsellors Café – This is a blog set up approximately 18 months ago. It aims to be a focal point for counsellors to share their knowledge and to generate discussion. All the posts are written and contributed by other counsellors. Welldoing.org is therapy directory set up Louise Chunn. She has expanded the directory to include articles, advice and resources. These are written by Welldoing.org members and Louise herself. Do you recommend any other blogs? Do you find any of the above blogs useful? Hello Hazel, hope you are ok. I would like to add my blogs. Let me know what I need to do? Hi Kajal, Thank you for letting me know about your great blog. I’ve added it to the list. Keep blogging! Thank you Anne. Glad it’s helpful to you.